We're a third-generation family-owned business, est. in 1959. H eider Cleaners, Inc. has been providing trusted, professional laundry and dry cleaning services to the south Dayton area since 1959. We take pride in offering the finest quality clothing care, with dry cleaning and wet cleaning options for all of today’s fine garments. For a full list of our services, see here. Whether you live in Kettering, Oakwood, Centerville, Springboro, Beavercreek, or surrounding south Dayton communities, we can either serve you in-store or via our convenient Pick-Up & Delivery service. And be sure to “Think Heider!” for all of your wedding gown needs — we are proud, certified members of the Association of Wedding Gown Specialists. L ouis G. Heider began his dry cleaning career as a route delivery salesman with Advance Laundry in the 1920s. After several years at Advance, he took a position with Staley Laundry & Dry Cleaning on Patterson Blvd. From these two employers, Louis acquired the skills and knowledge that allowed him to launch his own business on the lower level of the Gibbons Hotel on Ludlow Street in downtown Dayton. This location was good through the war years, and in 1949 he took on a partner, Mr. Joseph C. Moorman. Together, Louis and Joseph formed H&M Cleaners, Inc. on Linden Ave. at Woodman Drive. With the development of State Route 35 in the late 1950’s, however, the partners found themselves forced to vacate their Linden facility after nearly a decade. So Louis bought out Mr. Moorman, and, in 1959, he opened Heider Cleaners, Inc. at its current location at 3720 Wilmington Pike in Kettering. Louis retired at the age of 65, though he remained active in the business until his death in 1978. He handed the reigns of the company to his son Frank, who ran the business successfully until his own retirement in 1992. Like his father before him, Frank remained a part of the company even in retirement, until his passing in 2005. 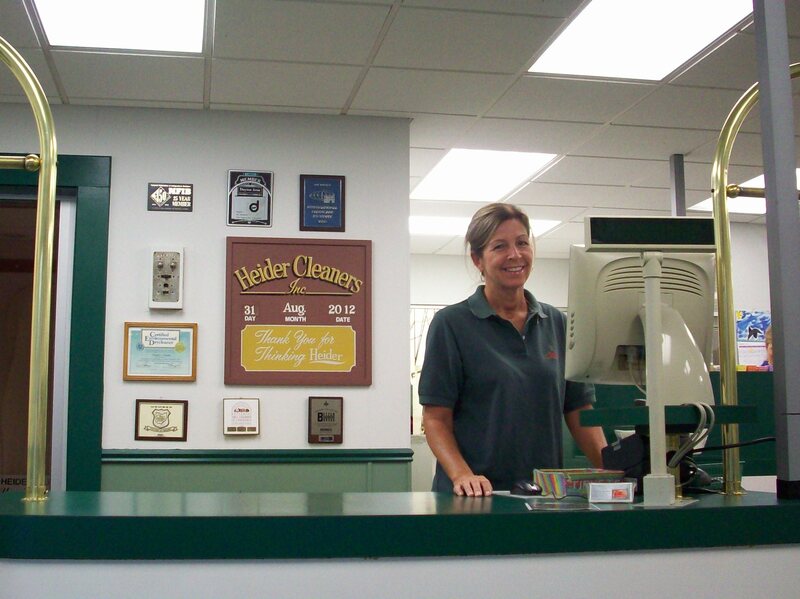 For the past 35 years, Heider Cleaners has been run by Frank’s youngest son, Joe, who, on behalf of his father and grandfather, would like to sincerely thank you for thinking Heider and for making our family a part of yours for over 50 years.